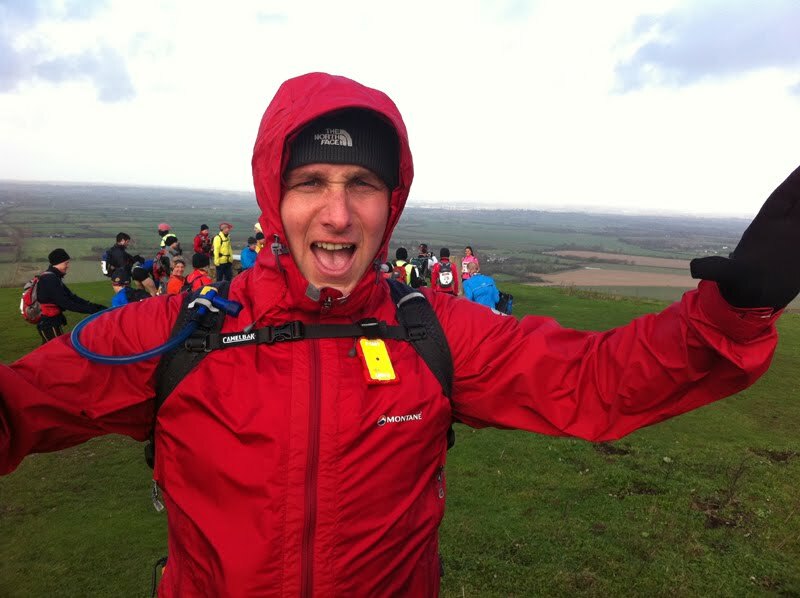 The Stouty and Ali show took part in the 2010 Druid Ultra event, an 83 mile run over 3 days covering the length of the Ridgeway from the start at Ivinghoe Beacon to the finish at Barbury Castle (actually just a hill) in Swindon. 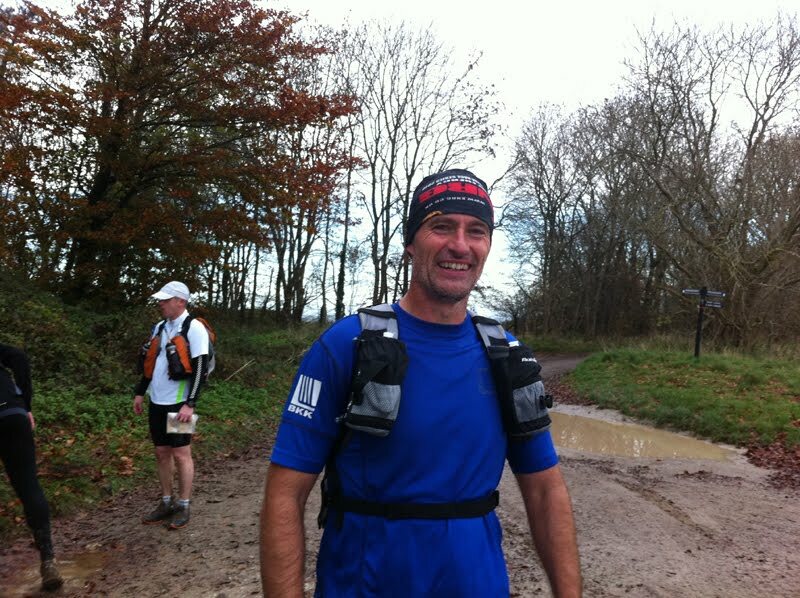 After a drop off from Baz on the friday morning, they dropped off their kit bags got their free goody bag including some “buff” headwear and readied themselves for the run on Day 1, a distance of 29.5 miles or so they thought. 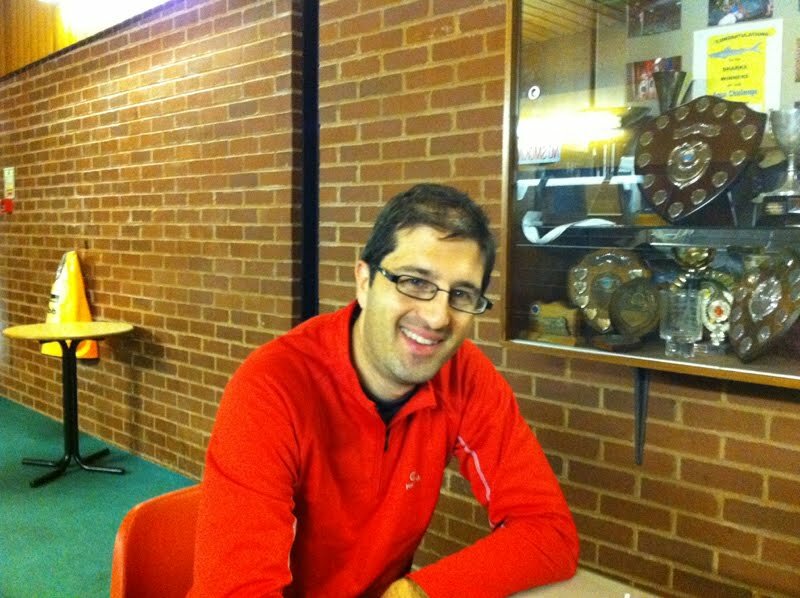 Paul A’s personal race prediction was a total finish time of 17 hrs. 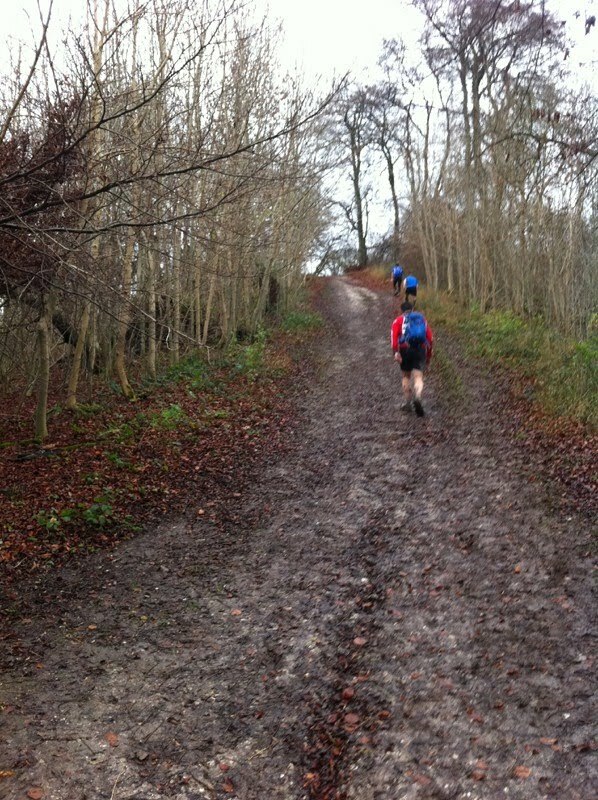 The boys started at 11am and were soon running into a strong headwind for the first couple of miles before the path became less exposed route. 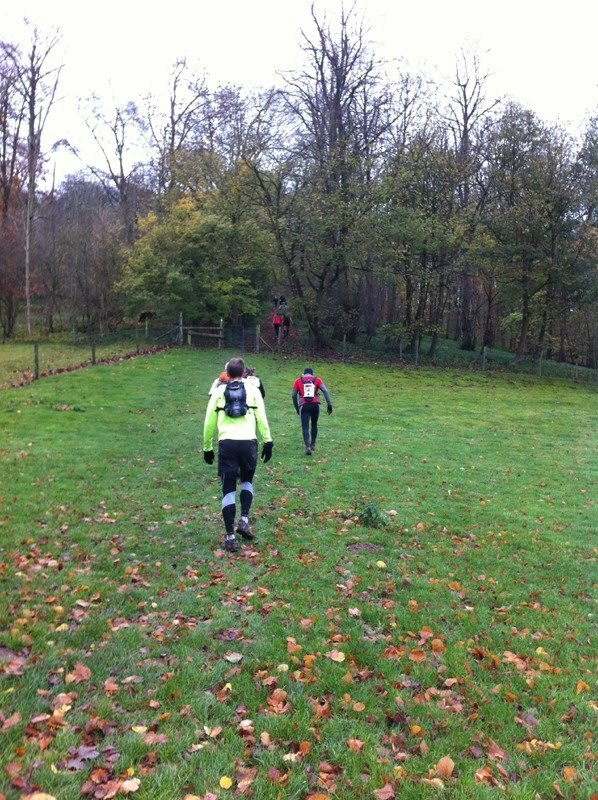 The heavy rain over the past week had made conditions wet, slippy and extremely muddy in places and the route was undulating the majority of the way with a couple of bigger hills during the day. Unfortunately, they didn’t get off to a great start as a signpost was either missing or missed and the team ended up taking a 2-3 mile detour off the Ridgeway before working their way back onto the path. (Apparently loads of people missed this aswell). This was before they had even hit the 1st checkpoint! Feeling a little down from the extra mileage, the boys trudged on and soon bumped into the familiar face of “Norseman” Dave who they had met on the GUCR as they carried onto the second checkpoint. The weather got steadily worse as they day wore on, meaning they didn’t really experience any of the scenic views. The run became a bit more of a run/walk especially for some parts of the course which were challenging to say the least resulting in an hours run in the dark before the finish. The mood of the team was down overall with the sluggish pace and conditions, the run was a challenge but one which the team weren’t responding to with their usual attitude to be honest. It was a case of gritting their teeth and trudging on. Paul A managed to lose a contact lens with 45 mins to go and spent the last part of the race trying to keep his balance in the conditions with one good eye which didn’t help his mood. 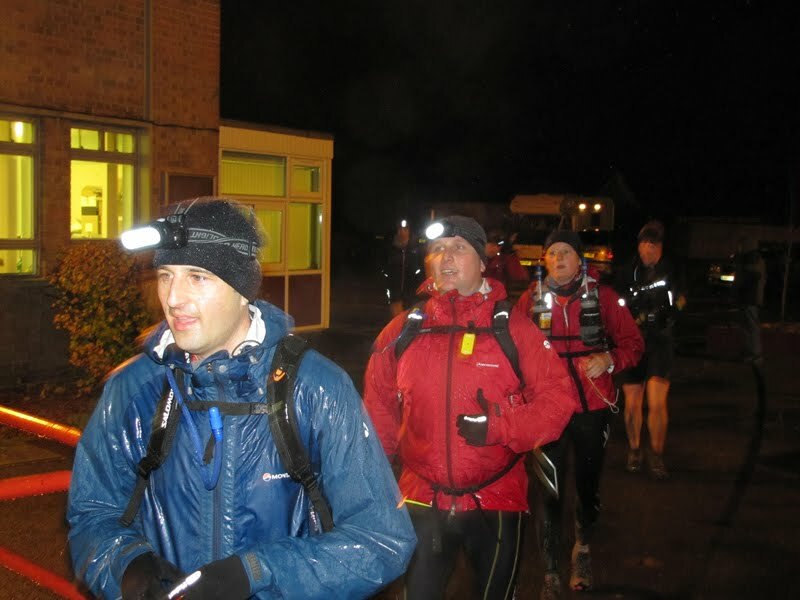 Finally, the boys came to the turn off from the Ridgeway and plodded the last mile or so to Icknfield Community College which was the base of operations for the night in a disappointing total time of 6hrs 26mins. 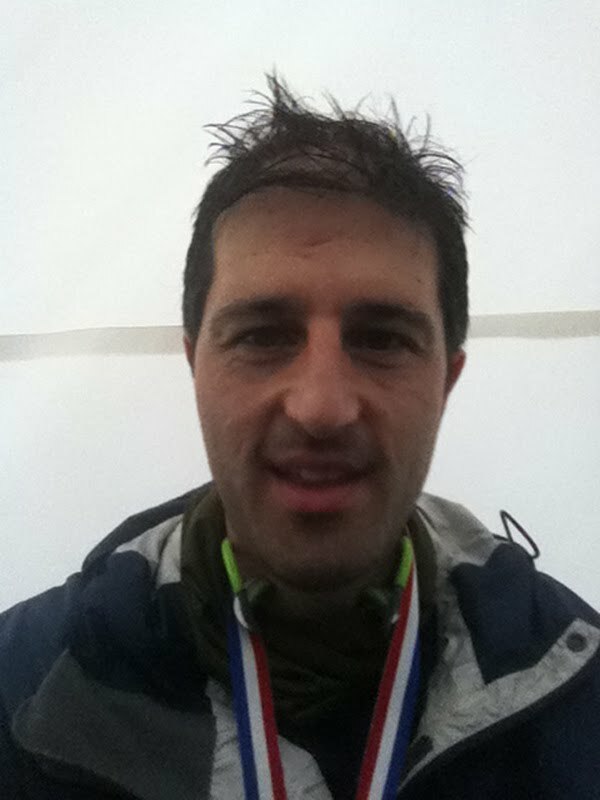 (Paul A only had approx 11hrs 30mins left to hit his prediction) but pleased to get in out of the rainy and dark conditions in about 60th position each. 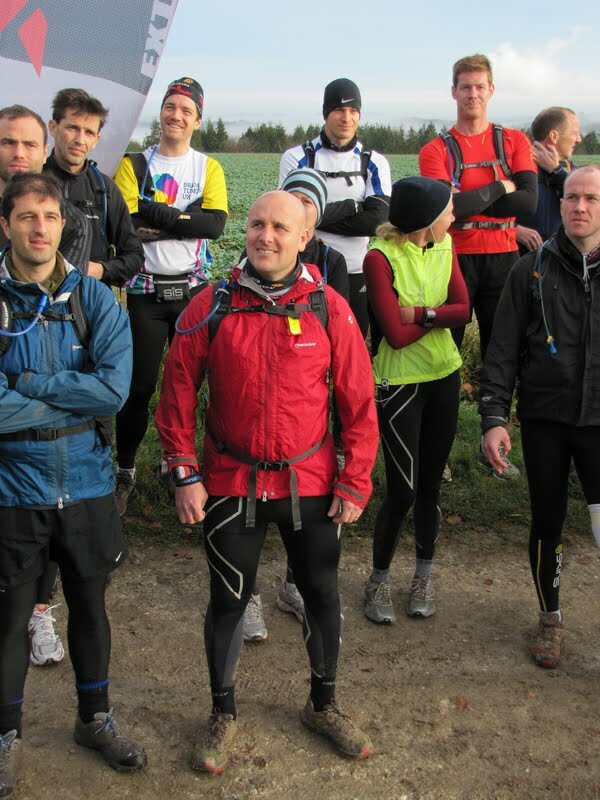 The XNRG crew were there on hand to welcome them in with a hot cup of tea and some cake at the finish. 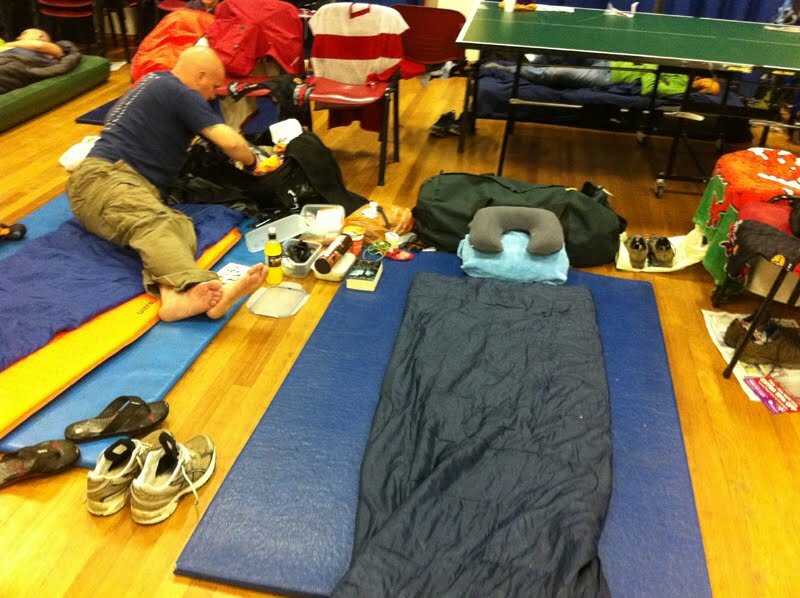 After a warm drink, they collected their kit bag, had a shower and then had some hot food before finding a spot in one of the two halls to lay out their sleeping bags for the night. Dirty kit was packed away. Muddy and wet shoes were packed with old newspaper to help dry them out but both had brought spare pairs anyway and clean kit was laid out for the next day. Both had taken care to wear decent socks (Sealskinz recommended by Paul A) and were pretty much blister free and had few aches to complain about. At about 9am there was a call as the last walker came in to a nice round of applause about 11 hrs after she started in the morning. It looked like a determined effort to keep going in those conditions in the dark for that long. These events can be really tough for walkers/hikers who have to be out in the conditions for twice as long as the average runner and then be up first for the next day aswell. The day started early at about 3am as neither Paul A or Paul S had a decent nights sleep and they managed to doze a bit more until the walkers got up from 6am onwards to ready themselves for a 7am start. 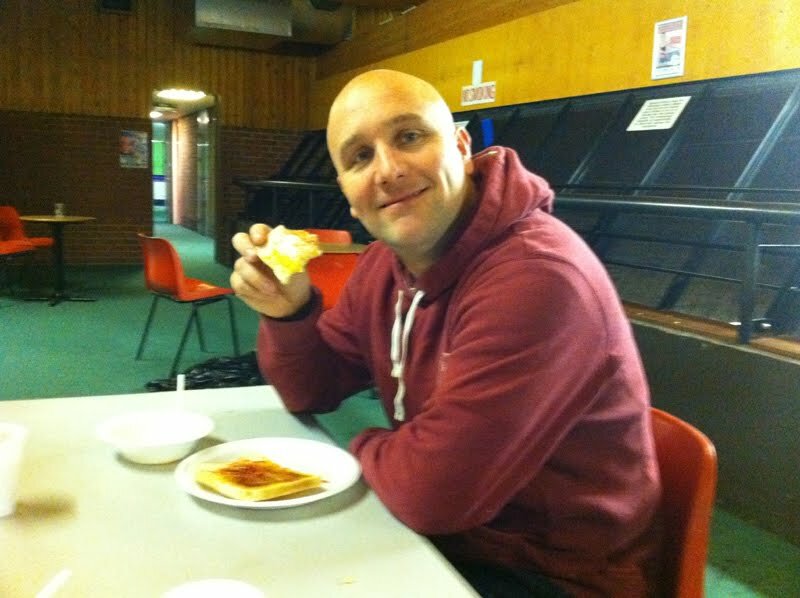 The boys were scheduled for an 8am start and had a bit more time to eat some porridge and get ready before they set off. Day 2 was scheduled for about 27 miles (without detours) and the conditions were better than the previous day with little rain and the ground was more even. The course followed the Ridgeway through Goring to Wantage which was their base of operations for the second night. 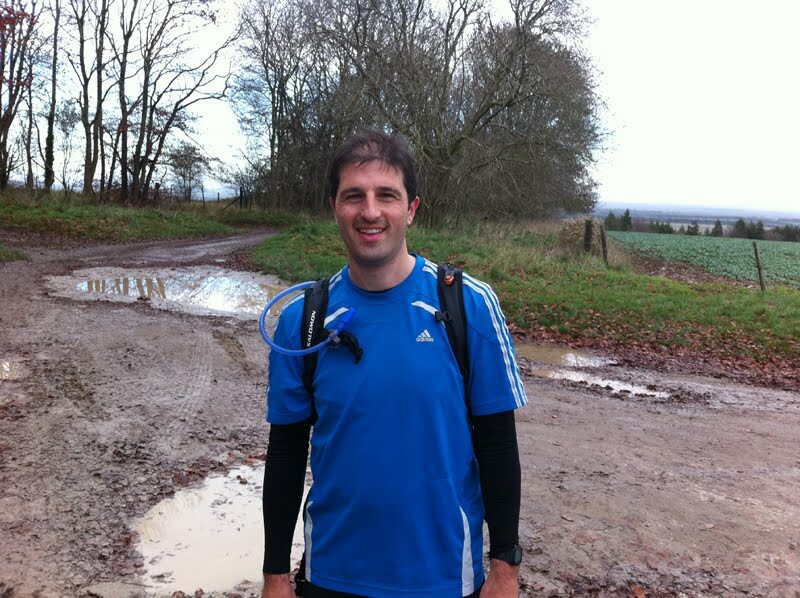 Part of the course ran past the Thames making the ground flat for a few miles. Paul A made a brief “pit stop” early on as Paul S powered on ahead and that was the last they saw of each other that day. Paul A teamed up with Norseman Dave for a bit of a stop/start run whilst Stouty kept a good pace eventually finishing in a good 5hrs (30th for the day) with Paul A finishing with a burst up the hill but coming in 45 mins later (58th for the day). 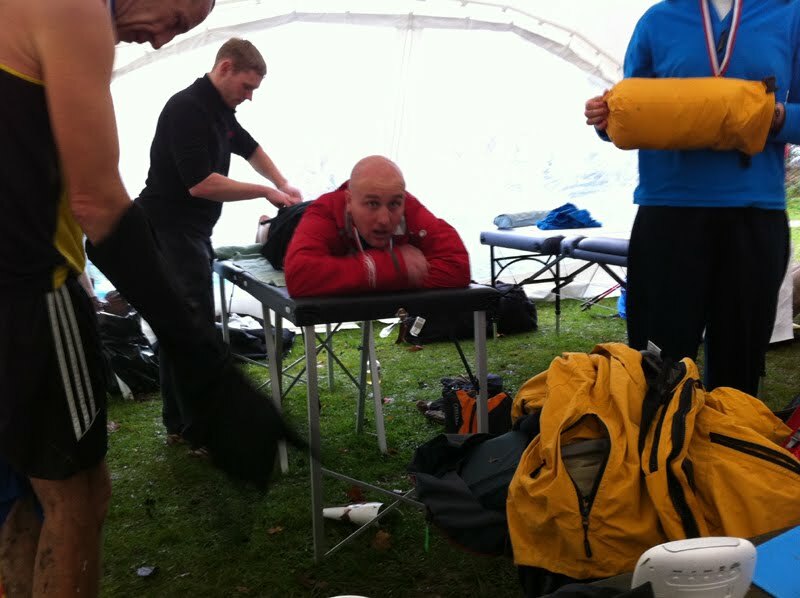 (Paul A now had a time of 12 hrs 15 mins and needed an unlikely 4hrs 45min finish to meet his predicted time). The run finished on the Ridgeway and there were some mini buses on hand to transport competitors to the base of operations on the second day at Wantage Leisure centre. Stouty had managed to set up the sleeping area and had found some gym mats to use as a bedding. 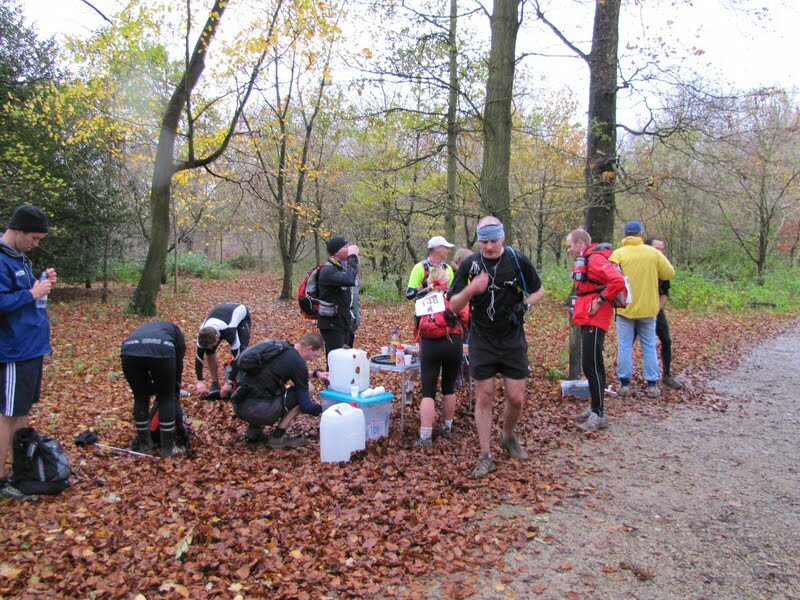 Again some hot drinks and cake welcomed the competitors as they finished. As the race had started early it was only around 3pm when the boys headed into Wantage for some lunch (couldn’t wait until 6pm for food) and some snacks before catching up with other competitors before the evening meal. Again, after the meal they readied their kit for the next day, had a chat with some other competitors before settling down for the night. There were a couple of minor blisters to attend to, Paul A’s right knee was a little sore and Stoutys back was sore but these were all minor niggles really as there legs still felt pretty ok.
Just before bed, they checked the scoreboard for confirmation of start times to find Stouty’s efforts had put him into the elite start the next day. Due to logistical reasons (i.e. number of spare seats in the mini buses) it wasn’t possible for Stouty to drop down to Paul’s group. However, all was not lost as Paul A found someone to swap with and upgraded into the elite group, pressure on for day 3 then! Norseman Dave also joined them as his ferry home was going til 9pm so he didn’t want to finish too early and have to hang around all day. Another 3am wake for Paul A who managed to find his way in the dark to the toilet and back without disturbing anyone (thanks to Stouty putting a chair next to their sleeping bags for navigation). Unfortunately, sleep did not come easily after that and the boys stirred as the alarms went off at 5.30am when the walkers decided to surface and get ready. Their mini bus was due to leave for the start at 6.30 am. As both boys had a later 9am start, they had a bit more time to enjoy their cereal, toast and tea, pack their gear and get ready for the last day. 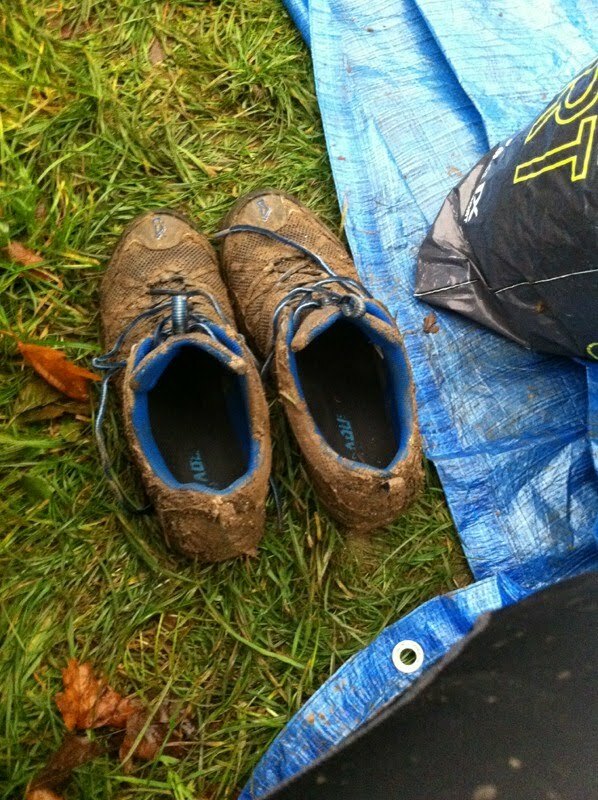 Conditions were marginally worse than Day 2 with light rain on and off for the majority of the day and running conditions were again muddy. Ground conditions were probably slightly better than Day 2 overall. Paul A and Paul S set off behind the main pack which soon stretched out over this part of the 26 ish mile course which ran from Wantage to Swindon. They stuck together for a good hour or two hitting the first checkpoint in good time before Stouty drifted on ahead. 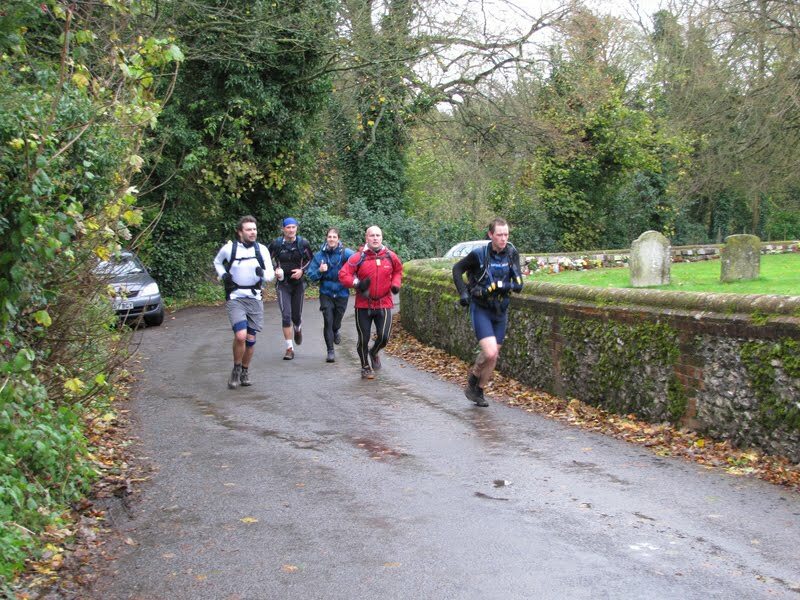 However, both of them kept up a reasonable pace for the rest of the run (Paul A making more of an effort than usual?) 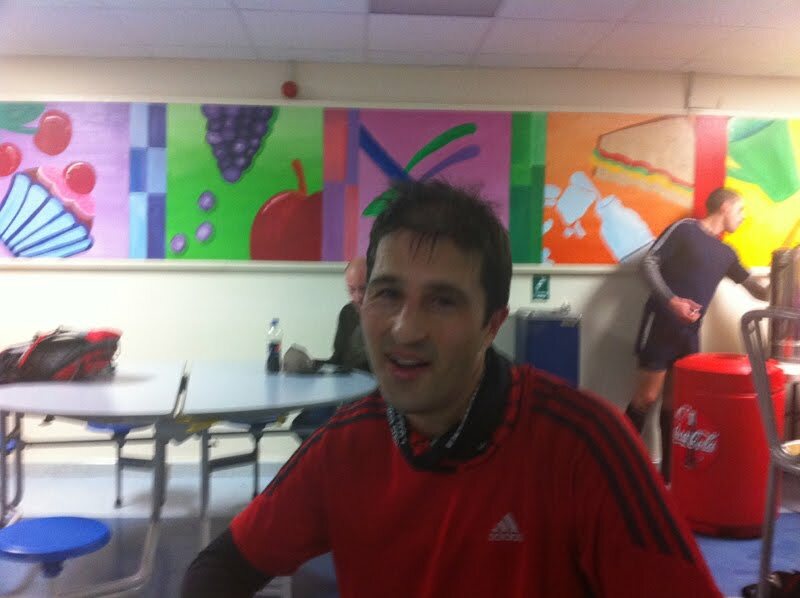 and amazingly managed to smash the previous days time with finishing times of 4hrs 25mins (Stouty – 24th position for the day) and 4hrs 37mins (Paul – 31st position for the day) meaning Paul had managed to come under his predicted time which had looked very unlikely at the start of the day. Both guys were elated after a good effort on the last day and finished on a high after a less than average effort on the first day. 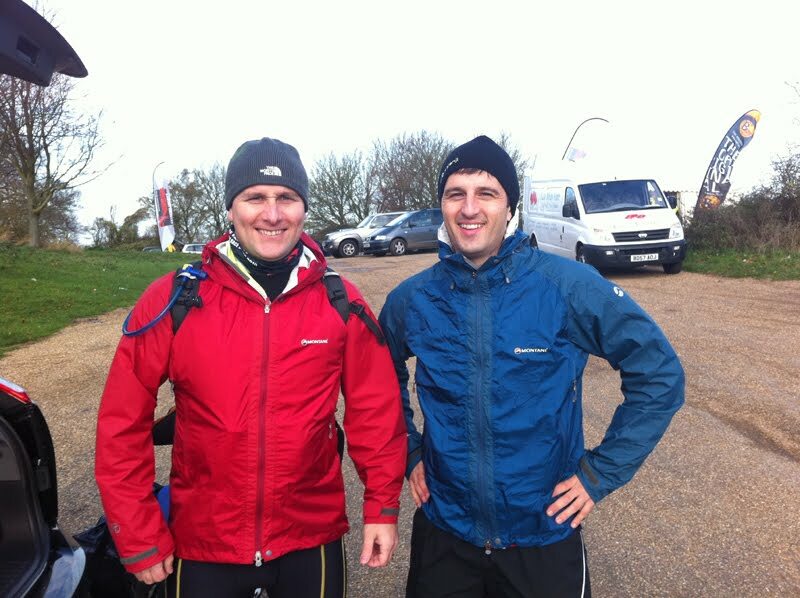 Stouty had finished 31st overall and Paul had finished 43rd. Both guys felt reasonably ok after the run although Stouty did go for the massage option at the end and were pretty much ache and pain free. Paul A and Stouty both enjoyed their first multi-day event overall. 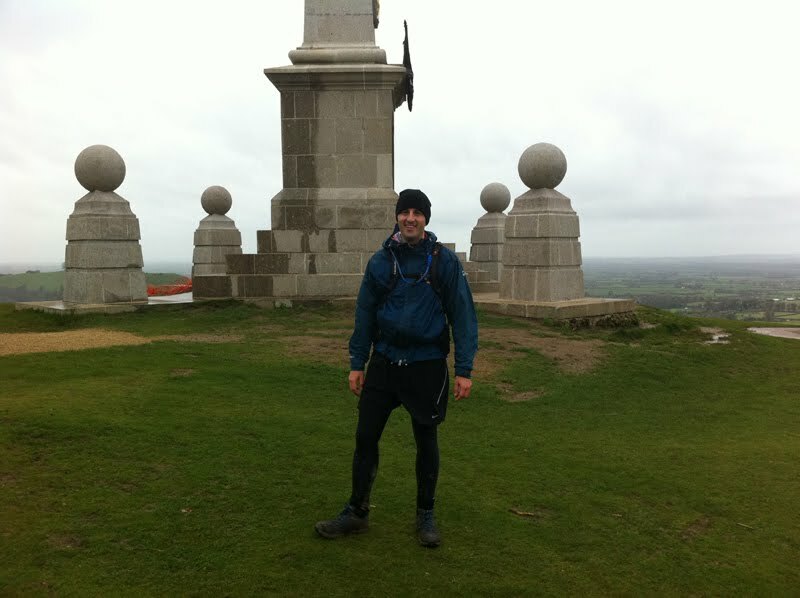 The £120 entry fee was reasonable value for money considering that covered 3 days support, 2 nights basic accomodation, 2 days meals and breakfasts, supplies and support on all 3 days plus a goody bag including a buff headwear and t-shirt plus hot drinks and cakes at each end of days stops/evenings. The XNRG crew did a good job of organising the race and ensuring people enjoyed the event. The guys had no major criticisms at all. In terms of feedback, water was available at the end of Day 1 in large jugs but could possibly have been more plentiful as people needed to avoid getting dehydrated and wanted to fill hydration packs before the next day. Both Paul A and Stouty had brought plenty of snacks and some extra water/drinks but only really used their extra drinks/water and had plenty of snacks left showing food provision was satisfactory. There was some discussion between several competitors/organisers over start times with some people wanting to start at different times for various reasons. (i.e. Paul and Stouty were travelling back together). There were obvious logistical issues (i.e. limited transport) and the system of organising this was fair (i.e. walkers first, faster runners last based on finishing times) to ensure checkpoints did not have to be held open for too long. However, Neil the organiser did try to accomodate people where possible subject to transport limitations so again no complaints here. The race conditions were not easy, particularly in Day 1 but this was all part of the challenge and the banter and chat between competitors both before, after and during the race was great as people shared experiences of the day or different events. 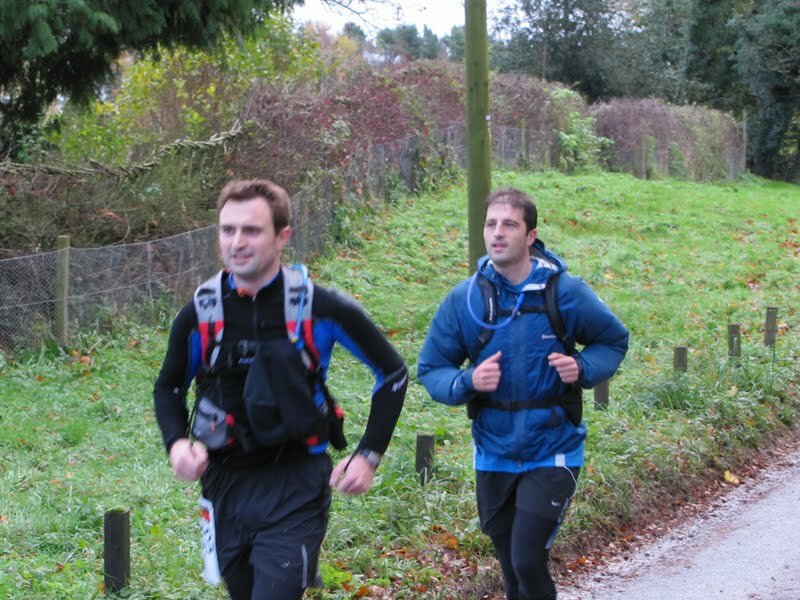 The multi-day event gave both guys a chance to talk to other like minded people who enjoy the challenge of Ultra events and despite a mix of people (both walkers and runners of varying ability and ages) people just seemed to get along. One real positive note, is that the XNRG team took plenty of pictures during the 3 days which they have kindly hosted on the internet for free for competitors viewing (half the pictures shown on the earlier post were taken by them). It’s a nice little “extra” when you can actually view/download pictures for free and add them to blogs/send emails to friends/facebook etc without having to fork out some ridiculous price that many other event photography companies charge. So a big thanks to the XNRG team for this. Paul and Stouty are likely to run this event again and each now have a target each to better!